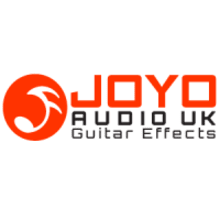 JOYO Audio UK Distributor - Guitar Effect Pedals, Bantamp Amplifiers, PXL & Power Supplies Direct from JOYO AUDIO UK in Manchester England. Visit: http://www.JOYOeffectpedals.co.uk - retail website (international). http://www.JOYOAudio.co.uk for UK trade & retailers. We have every JOYO Pedal in stock, Power Supplies, PXL controllers.. We have effects, Overdrive, Distortion, Wah, Chorus, Reverb, Delay, Fuzz, Octave, Vintage, ,DrJ, Pedal Power Supplies, Tuners, Cables, Metronomes, mini pedals, big pedals. affordable & awesome..